Your healthcare team may recommend radiation therapy as part of your treatment plan for pancreatic cancer. 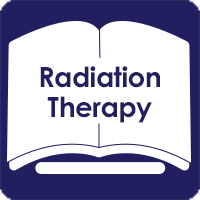 This section provides descriptions of radiation therapy and links to additional resources that you can review and consult. Radiation therapy uses high-energy particles or waves (such as x-rays, gamma rays, electron beams, or protons) to destroy or damage cancer cells. It’s also used to shrink tumors, and sometimes to alleviate, or lessen, cancer-related symptoms. Radiation therapy is often used in combination with chemotherapy. It may also be used with surgery. External beam radiation therapy is the type most often used for exocrine pancreatic cancers (the most common type of pancreatic cancer). With external beam radiation, the radiation is given by a machine outside the body onto cancerous cells within the body. As with every therapy, radiation has risks and benefits. Radiation treatments can be administered locally to destroy cancer cells and prevent them from growing and dividing, with as little harm as possible to the surrounding healthy cells. Get an overview, and some more in-depth information about external beam radiation therapy for pancreatic cancer. 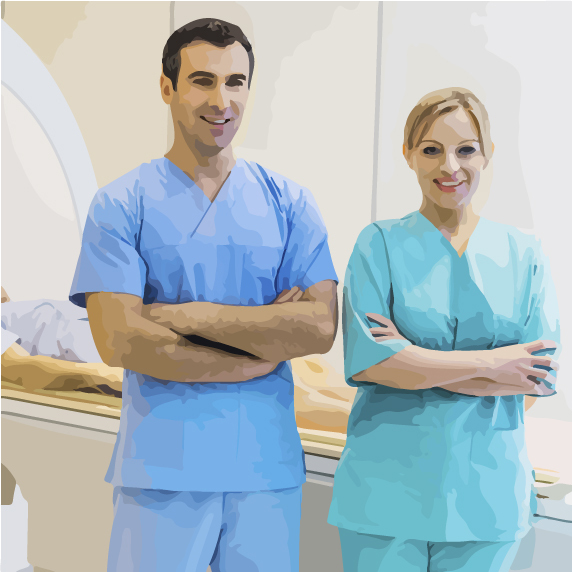 Your healthcare team will provide you with specific details for preparing for the radiation therapy in your treatment plan. In general, for external beam radiation therapy, you should wear loose-fitting, comfortable clothes and make sure you don’t have any powder, deodorant, jewelry, or adhesive bandages near your treatment area. Treatments are usually given five days in a row, usually Monday through Friday, for several weeks. Treatment time may be just a few minutes. The setup time for each treatment, however, may take longer. Also, a few days before starting radiation therapy, the doctor will pinpoint the area to be treated. Find information about external beam therapy, how to prepare for and what to expect during treatment sessionsThis link is to a third-party website. Radiation therapy can damage both cancer and other cells in the body and cause side effects. Side effects may vary depending on the individual and the part of the body receiving radiation. Most side effects go away soon after treatment is finished. Ask your healthcare team about palliative care to help you manage any side effects and maintain the quality of your life. For more information about possible radiation therapy side effects, visit cancer.org, the website of the American Cancer Society. Learn more about possible side effects from radiation therapy. This link is to a third-party website. 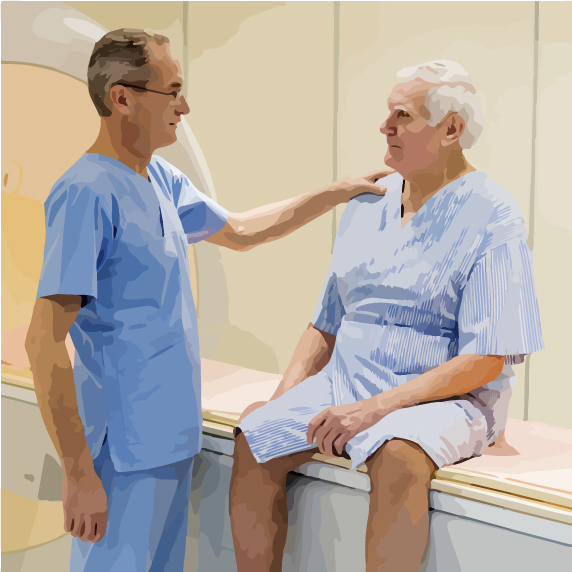 While learning about radiation therapy, you may come across or hear a variety of unfamiliar terms. 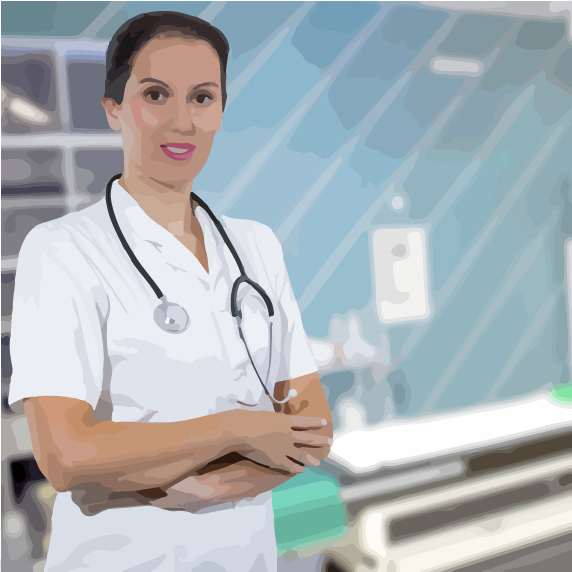 Familiarize yourself with radiation therapy termsThis link is to a third-party website.